The day begins with torrential rain but this doesn’t stop us from setting out to discover the best delicatessens in Glasgow. And we’re not looking for the most beautiful, designer or quaint- but for an exotic Aladdin’s cave. In the name of research we trek across Glasgow through floods, burst drains and even rainbows to discover the top two. Showcasing Italian cuisine, Celinos, is nestled among the shops on Alexandra Parade. Small but enticing, everywhere I turn there’s delectable temptations; beautiful handmade cannolini pastries, sausages, blue veined Brie, fresh bread, hams, meats, chilli and garlic olives, homemade Italian meals and liqueurs. Oh my! 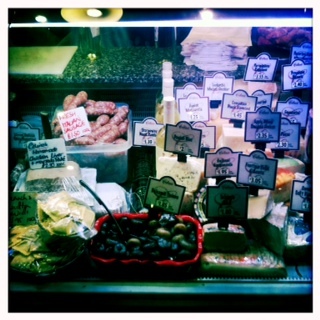 And all reasonably priced – classic Italian dishes like lasagne or penne salsiccia are a mere £3 a head. And if you feel like sitting in, you can enjoy fantastic food in their restaurant topped off by an impressive selection of drinks and liqueurs. For those looking for Middle Eastern magic Shamgate is the answer. Located under the railway arches on Bridgegate, it beckons us in with trays of baklavas and sweet pastries. 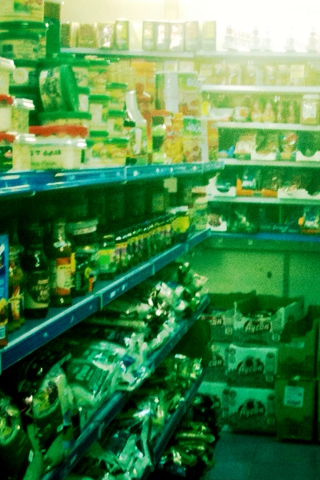 We’re lured in further by cavernous displays of spices, rices, bread, curries and so much more. The vine leaves hook me in – enticing me make my grandmother’s dolma recipe. Though Shamgate specialises in halal meats, it’s the vast selection of seafood that grabs my attention – with the biggest prawns imaginable. Happy as a clam, I could stay for hours discovering new and unheard of delicious delights. I finally leave with a collection of spices and a desire create something mouth tingling. And if it all goes horribly wrong at least I know where to go for back-up sure-fire savoury treats. This entry was posted in Delicatessen and tagged Celinos Glasgow, eating in Glasgow, Glasgow food, Shamgate Glasgow. Bookmark the permalink.